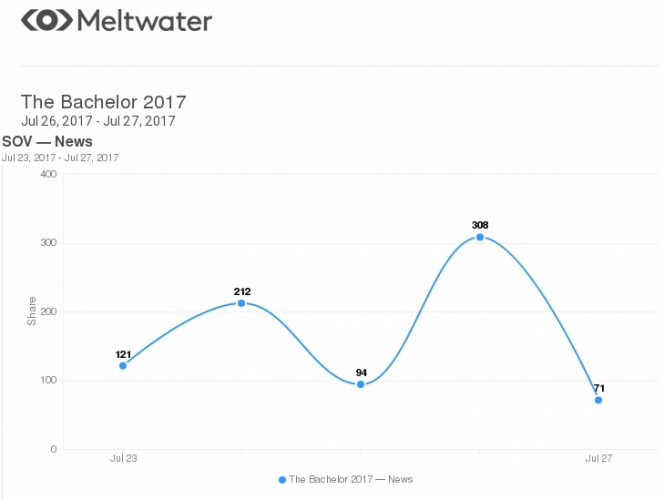 Hearts broke all over Australia last night as TV watchers the 22 women that will be vying for Matty J’s heart in this season of Ten’s The Bachelor. From professional body painters to Akoulina the shoeless twirler and even a fight within the first hour — it’s definitely going to be an interesting season ahead of us. Australian viewers have really let the world know how they feel about this year’s contestants. 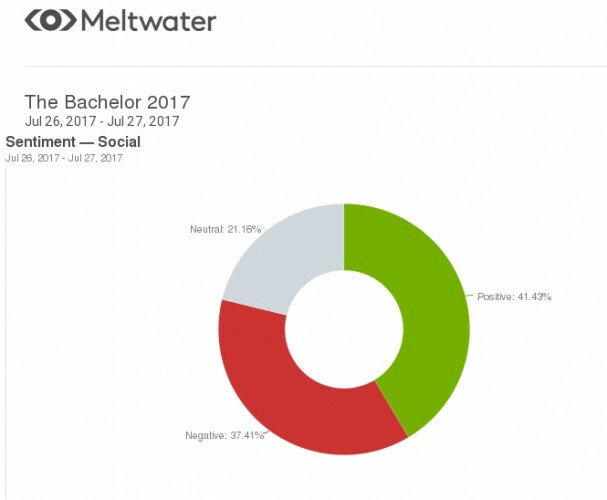 News and social media insights company Meltwater have taken a look at what Australians are saying on social and being published online following last night’s premiere and the results are interesting to say the very least. 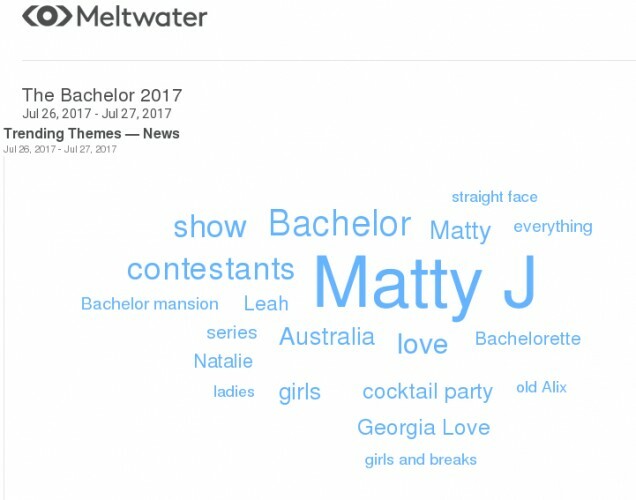 It comes as no surprise that Matty J was trending after last night’s long-anticipated return of #TheBachelorAU – but has Australia already picked a winner in #Lisa or #Leah? 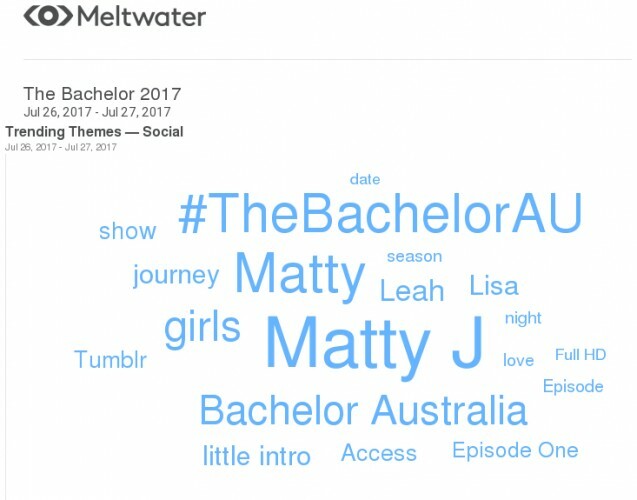 Contestant #Lisa was trending on social last night with many users dubbing her as the winner of Matty J’s heart from Day #1. After ruffling Matty J’s hair and her suggestive remarks about her “secret garden” #Leah was the only other contestant trending on social media after last night’s episode. News articles covering last night’s episode were largely focused on that faithful #cocktailparty, Leah and Natalie’s antics and the uncanny resemblance between new contestant Laura and ex-Bachelorette Georgia Love. 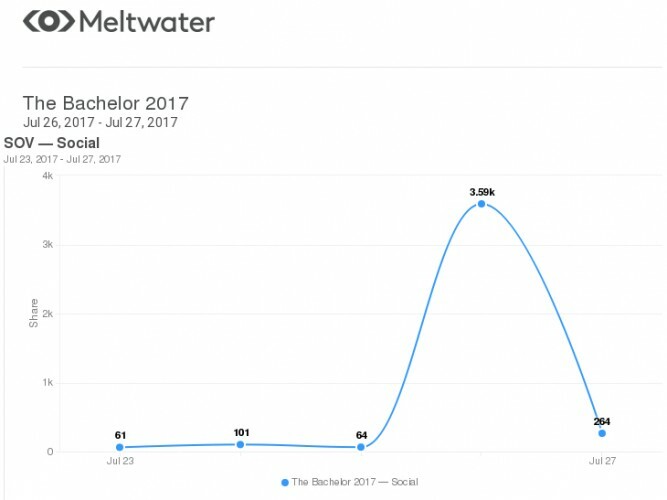 You don’t need us to tell you that The Bachelor was all over social media this week — bring on the memes!